Dorothy Jeffries passed away peacefully at her beautiful home in St. Helena, California surrounded by members of her family. Dorothy was the epitome of grace and beauty. Born in Chicopee, Massachusetts to Stephen “Bardie” Walter Ptaszek and Mary S. Panek Ptaszek, she was the first in her family to go to college, graduating from Boston College and then Grand New Haven (Yale) Nursing School. Dorothy’s adventurous spirit took her across the country to California where she started flying for United Airlines on the San Francisco to Honolulu route as a first-class flight attendant and RN. Her adventures continued when she met Richard J. Bambery, Sr., moved to Yosemite where they were married and lived in the side cottage of Ansel Adam’s studio that Dorothy managed while Richard worked for AAA and park services. A short while later they began raising their two children, Richard and Alison. While this relationship ended when the children were young Dorothy, as a single mom, continued as the most dedicated, adoring mother, teacher and supporter. She shared her love of the outdoors, art, music, theatre, yoga, travel, entertaining, cooking and perfecting everything. Despite facing the many challenges of a single mom Dorothy was always volunteering wherever she was needed and was always involved in various ventures to support her community. For a few years Dorothy was married to John Lucas, they raised teenage children together, faced various life challenges and while the romance did not last they remained lifelong friends. A chance meeting of the love of her life, Charles Bradford Jeffries, in an elevator in an apartment building in San Francisco sparked an extraordinary romance. They married and created a magical life filled with world travels and philanthropy, supporting the San Francisco Opera, San Francisco Ballet and a great many other organizations and clubs. They built a dream home with a world class vineyard in St. Helena and best of all they just adored each other. Our memories will forever be filled with sailing adventures, Cabo Thanksgivings, vineyard and poolside picnics, St. Francis Yacht Club friends and celebrations, Bohemian friends, theatre and family festivities filled with song, laughter and fine wines. Dorothy was preceded by her parents, Stephen and Mary; sister, Evelyn and brother Stephen. 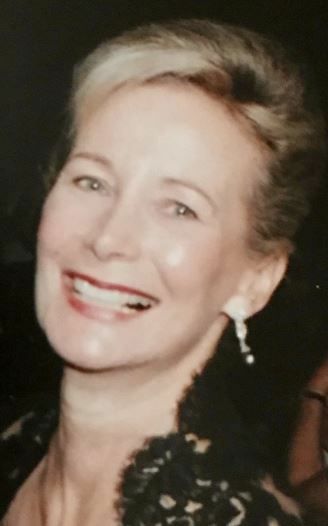 She leaves behind her devoted husband, Bradford Jeffries; son, Richard J. Bambery Jr., daughter in law, Stacy Kilpatrick; daughter Alison Bambery Regenold, son in law Todd Regenold; Steve Jeffries and wife Jennifer; Lynn Jeffries; grandchildren Tristan Regenold, Kate and Michael Jeffries; sister in law Bette S. Ptaszek; her Soul Sister, Christine Lavallee Johnston and several cousins in Massachusetts. Our sincere gratitude to Home Helpers of San Rafael, Hospice by the Bay and her loyal Cecelia Cortez. We could not have gotten through this time without your genuine, respectful loving care.